The traditionally styled Villa Gelsomina can be found on the banks of romantic Lake Orta in Northern Italy. Currently divided into five fully furnished apartment properties, the villa offers stunning views of the lake below and also features well-kept grounds, terraces, balconies and a private pool. Located in the hamlet of Lortallo, Villa Gelsomina offers a quiet and tranquil living experience that is steeped in history – the surrounding area is known for Iron Age and Roman archaeological discoveries. While traditional in appearance Villa Gelsomina is a modern and fully featured building complete with contemporary styled furnishings and fittings. The property also includes parking on a quiet no-through road. Villa Gelsomina is currently on the market at €985,000. 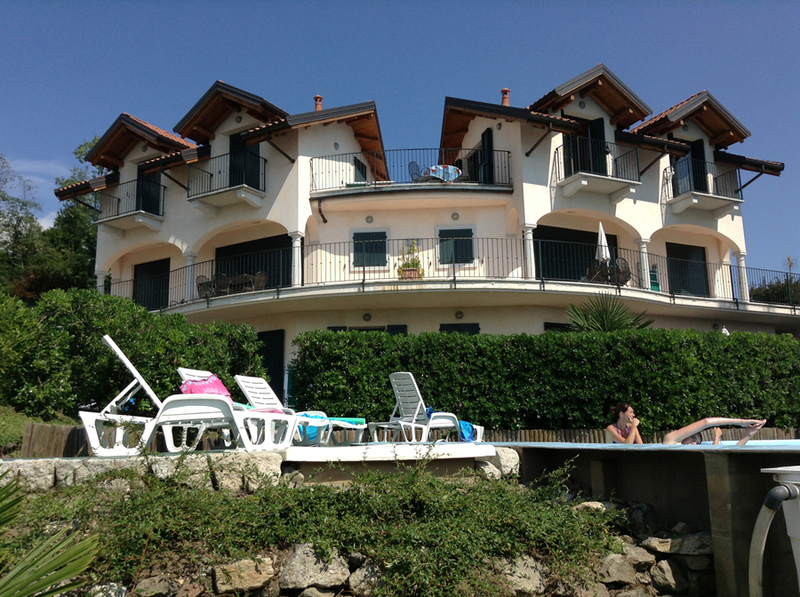 All apartments come fully equipped and offer stunning views of Lake Orta as well as outside eating areas.